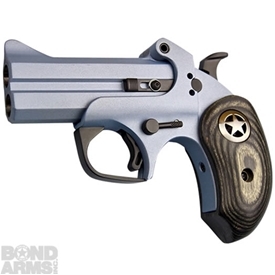 These aren't your typical derringers! 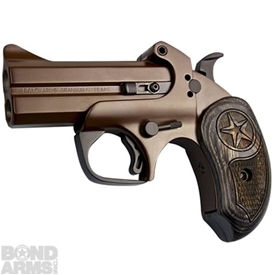 We manufacture our guns in Granbury,Texas and sell to Distributors and Dealers throughout the U.S. and Canada. 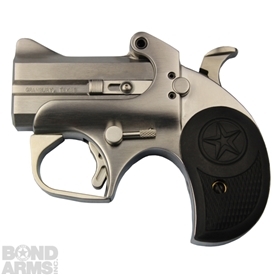 We currently offer 17 different models of derringers, as well as 37 interchangeable barrels that are made of the highest quality Heavy Duty Stainless Steel which will fit on any of our guns. 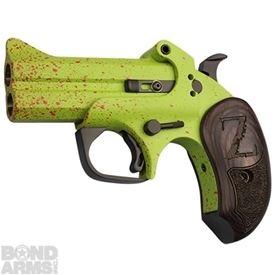 We carry a full line of accessories including holsters, barrels, grips, display boxes, and even hats, shirts and coffee mugs for our "dyed in the wool" Bond Arms fans in our online store. 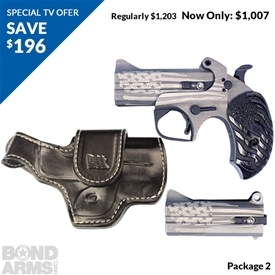 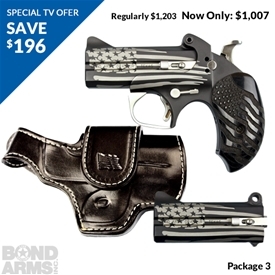 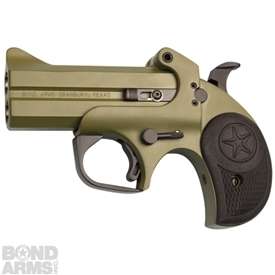 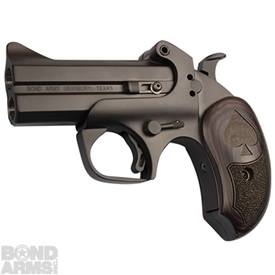 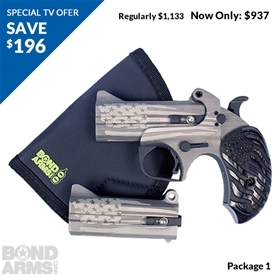 The handguns listed below are available for online purchase through Bond Arms. 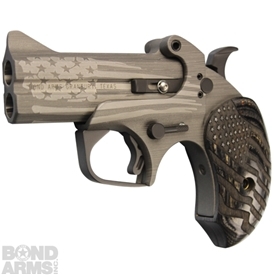 For a complete listing of our handguns, please see our Handguns page.